Want to make your house look cool? Paint it black. A little bit dangerous, a little bit rock and roll. Car owners have been doing it for years: Range Rovers, Maseratis and Jeeps have been getting the matte black paint job, and houses are next to get the treatment. Does it work? Are you the owner of the coolest house on the block, or are you a bit try-hard? This massive Doberman Pinscher of a house looks fabulous in true Notting Hill tradition. 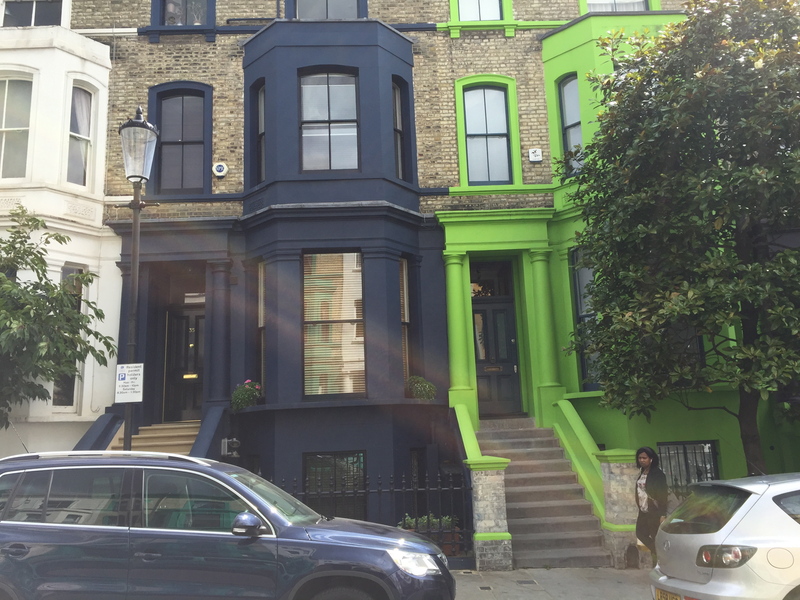 The rest of the houses in this terrace vary from lime green to screaming pink. Purple Haze. Referencing another one time resident of Notting Hill? It really works on mews houses. Killer combination with the ivy and wisteria. Contemporary garden house. 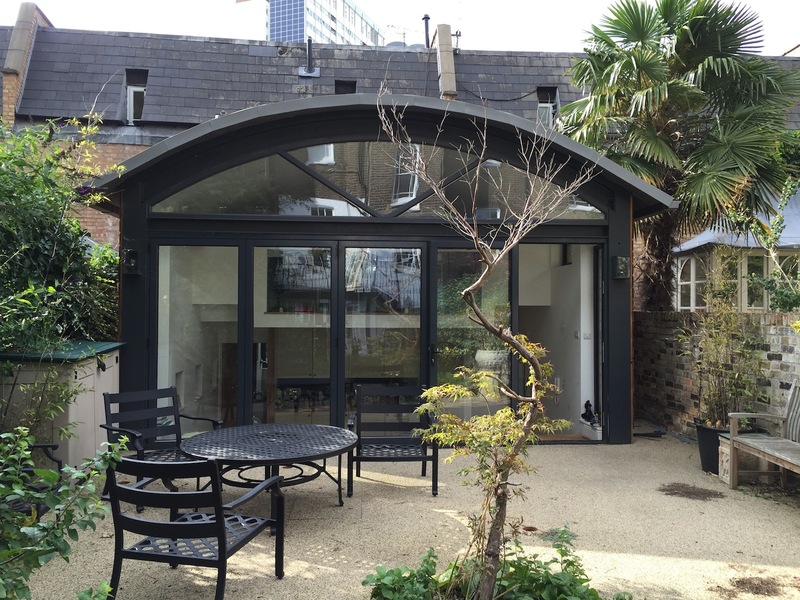 Painting it black has avoided the pitfalls of twee or naff to which garden houses are prone. It wipes the visual floor with the cute Gothic one on the right. These houses show black paint does what it is intended to do, but only as long as it does not become commonplace. 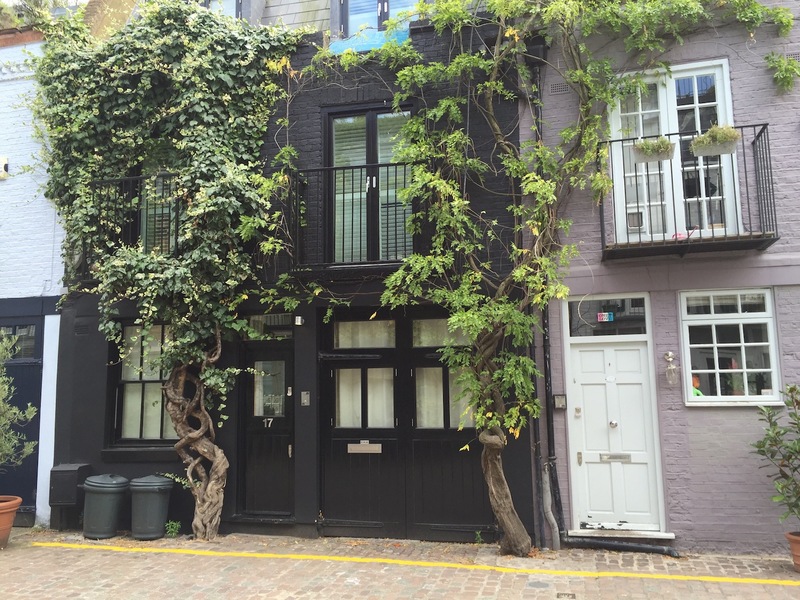 A whole row of black painted houses would look decidedly funereal. Some greenery or good planting next to black paint really adds to the look. 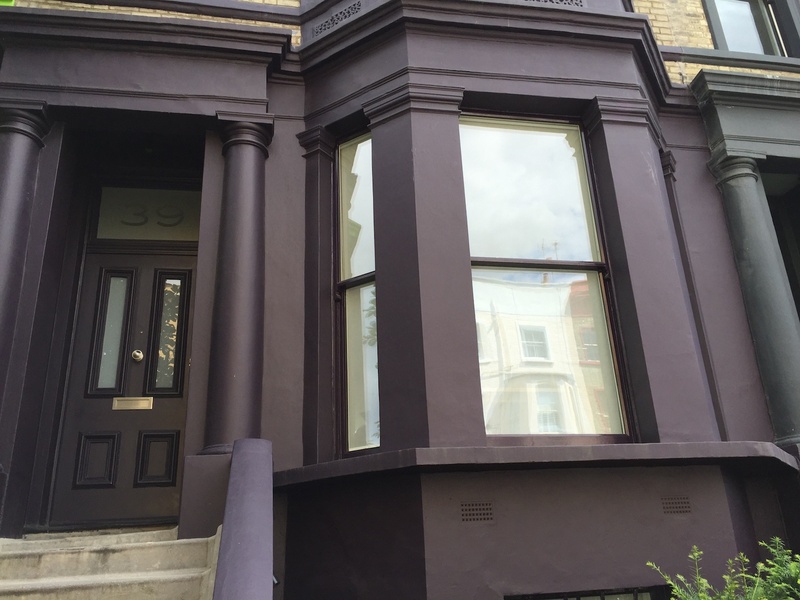 Seen any fabulous black-painted houses in your neck of the woods?